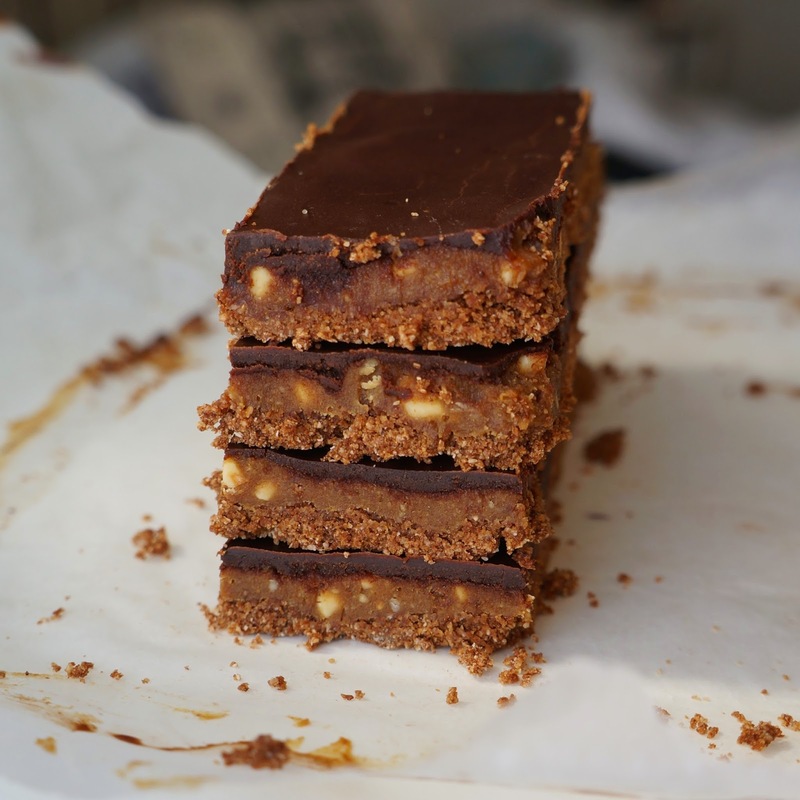 I was speaking to my friend Hannah (from +Hannah Darvas (HealthNutHannah) ) yesterday and she sent me a link to No Bake Peanut Butter Cup Bars by Detoxinista which she had tried the day before at a dinner party and said I HAD to try as they were the best thing she had tasted! So... I looked at the recipe and made them straight away (adapting the recipe in a few places to suit what I had in my store cupboard etc)! These are SO delicious! 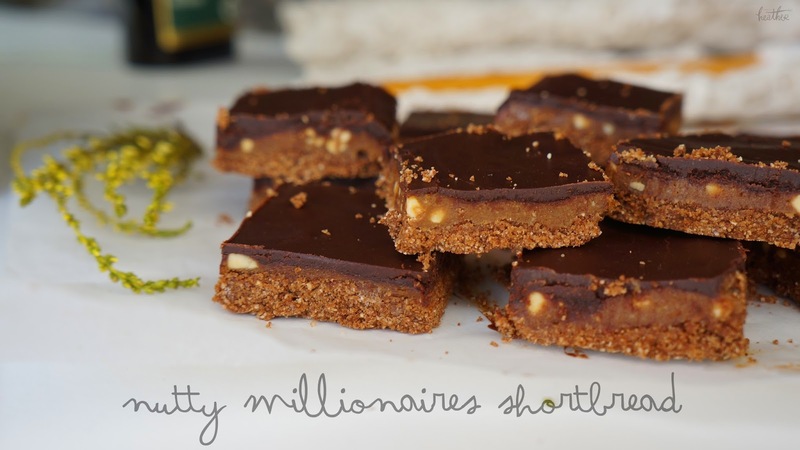 They kind of remind me of the Millionaire's Shortbread my mum used to make when I was younger but with a nutty twist. (I have no photos of the making of these as I made them so late at night and the lighting in my kitchen is terrible but let me know if you all want a video and I'll make them again)! Combine all ingredients until they clump together (you can do this by hand). 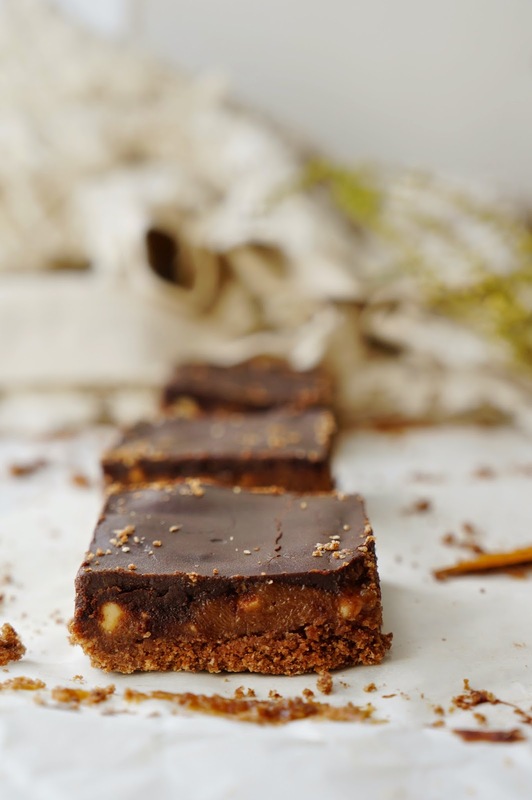 Press into a small lined square baking tray - the smaller the tray, the thicker the layers! 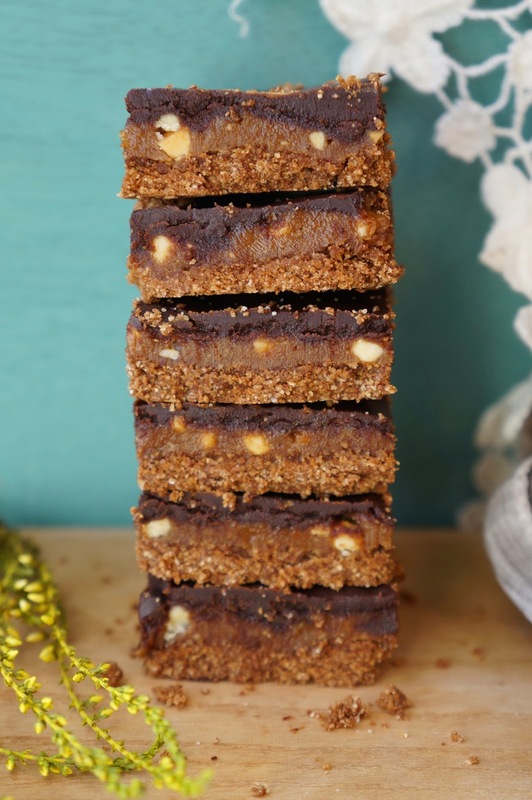 1/2 cup crunchy PB (or almond butter... or hazelnut butter... any nut butter)! Mix PB, syrup and oil until combined. Spread on top of base layer. Put in the fridge or freezer while you're making the next layer. Mix the cacao melted coconut oil and coconut syrup together until you have a smooth, melted chocolate consitency (have to admit, I ate quite a bit of this part before it made it into the baking tray)! Pour on top of the middle layer and spread evenly with a spatula (bang the base of the tray on the worktop a few times to make the top smooth and even). Set in the fridge for 30 mins and you're good to go! It tastes amazing after the chocolate has just set and the rest is still melty! 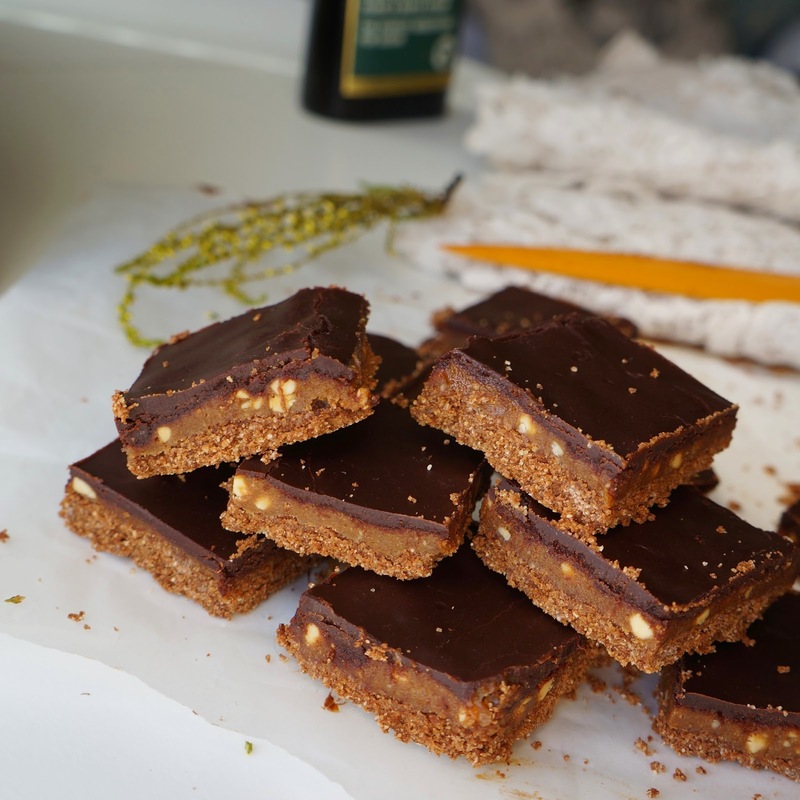 Cut into squares and store in the fridge! 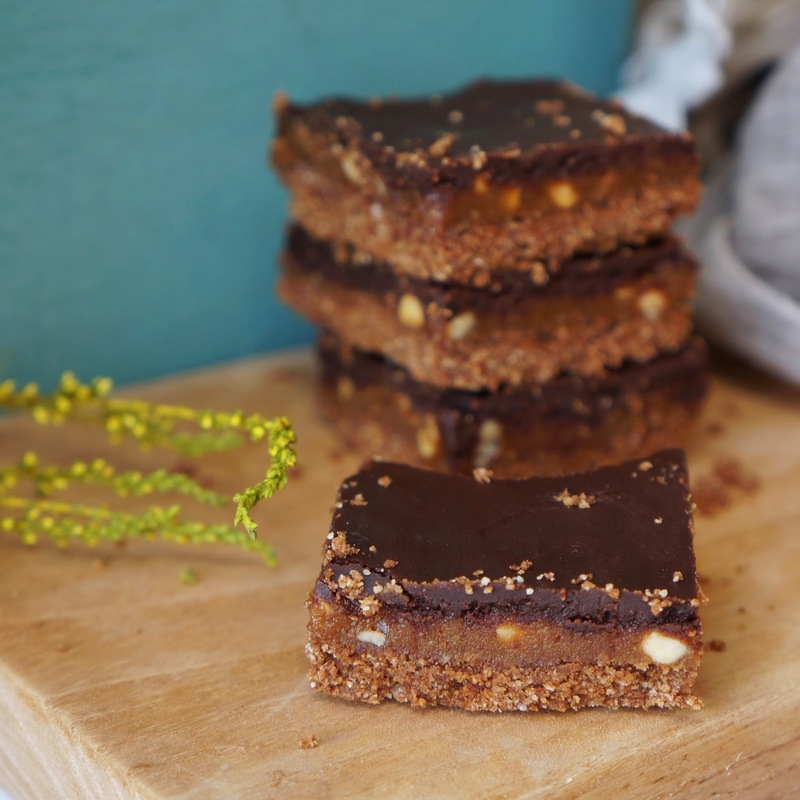 A special tasty ingredient in these was coconut syrup...one of my new favourite ingredients! 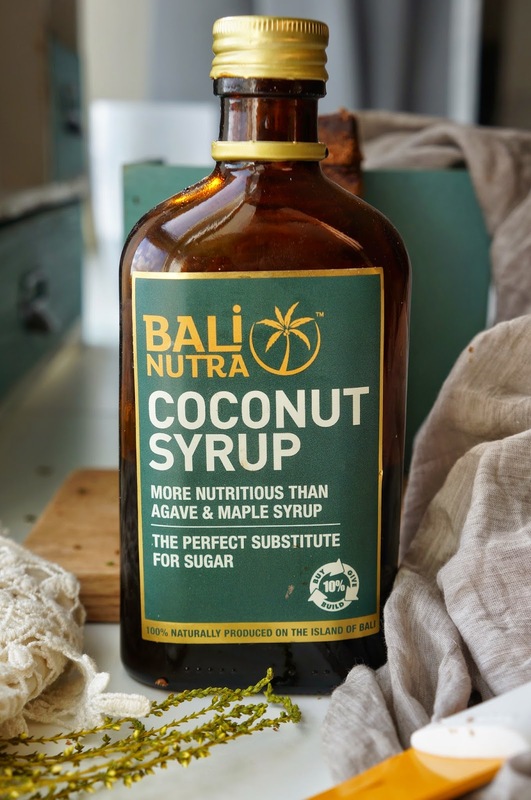 I was sent this one to try by Bali Nutra and it has such an amazing taste and texture and so many health benefits! 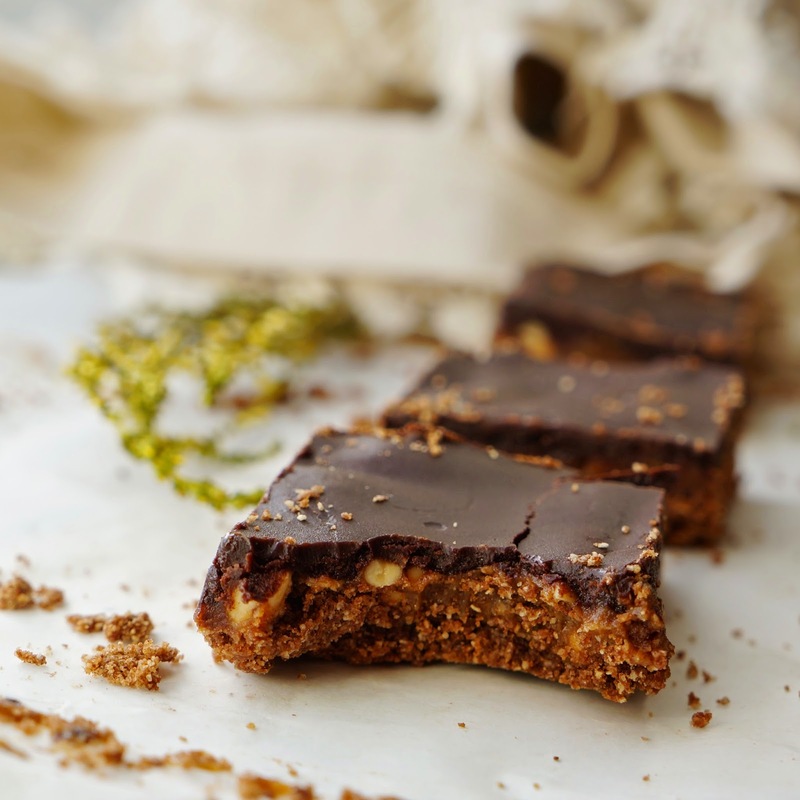 For anyone looking for a natural, healthy sugar alternative...here's your answer! syrup) making it suitable for diabetics. B2, B3, B6 and C.
• According to the FAO, Coconut Syrup is the single most sustainable sweetener in the world! 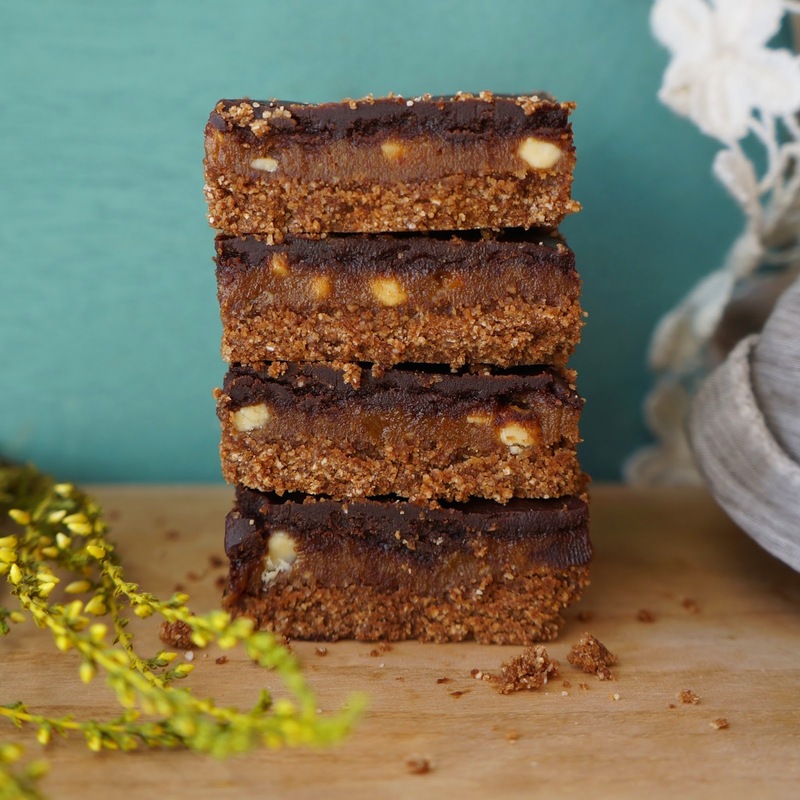 • It is preservative free, gluten free, GMO free, fat free and vegan.